Synopsis: After a nasty fall down the stairs leaves the wealthy Miss Emily Arundell bed-ridden and suspicious of her money-hungry family members. In addition to sending for her attorney, she writes a letter to detective Hercule Poirot. However, her letter is not sent until weeks later, after she dies, seemingly of natural causes, shortly after changing her will so none of her family members receive a dime. Poirot, out of curiosity, visits those who knew her and grows suspicious about the circumstances leading to her death. 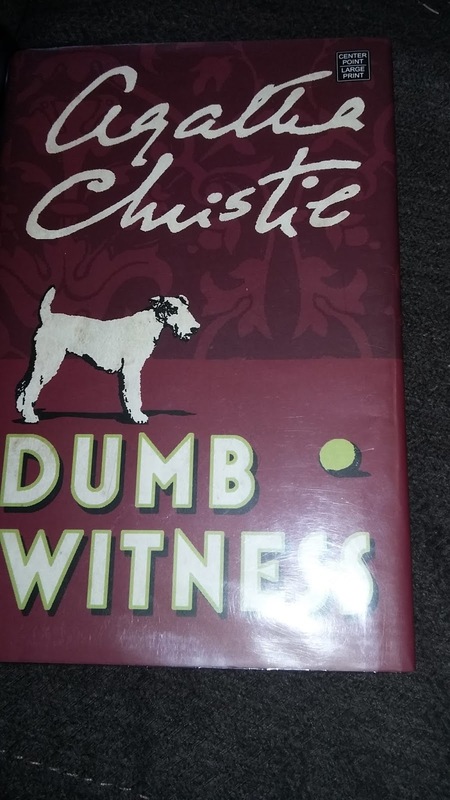 Review: There were a couple other books I was planning on reading before checking out another Agatha Christie book. However, they happened to be in the library archive and, rather than wait for the librarian to retrieve them, I decided to just get a book that was already on the shelf. I had never heard of this book before and the only thing I knew about it was it featured Hercule Poirot. After reading it, however, I have to say it made the list of my favorite Agatha Christie novels. The thing that won me over about this book was the complex mystery. At first, I thought the book would be about Emily Arundell dying as she fell down the stairs, something that (at the time at least) seemed like an easy enough mystery to solve. However, when she survived the fall only to die a couple weeks later, then I realized the mystery was going to be much more complex/entertaining. For me, personally, the thing that made this mystery memorable was the number of legitimate suspects. Everyone from Arundell's various relatives, to the woman who inherited all her money and even some of the local townsfolk, seemed like they were trying to hide something. No to mention, they were all quick to point fingers at each other when the moment called for it. On top of it, the fact she changed her will after the first murder attempt brought up a lot of added questions. Was it the same person? What would that person's motive be if they were no longer in the will? Was her death even murder or just a coincidence? Even though Poirot seemed sure of himself as his investigation progressed, I couldn't help but have some doubts. In fact, this is one of the few mystery books I've read that managed to keep me stumped until the very end. As a result of that, I wound up getting through the book several days sooner than I was expecting to simply because I couldn't put it down. Final Opinion: This is an entertaining mystery I thoroughly enjoyed. I was, admittedly, getting a little burned out on Agatha Christie. But, after reading this book, I do plan on getting the next one in the Hercule Poirot series.